In its decision-making, administration and management, VR-Group Ltd complies with the Finnish Limited Liabilities Companies Act, the articles of association of VR-Group Ltd, the Finnish Corporate Governance Code 2015 issued by the Securities Market Association, and the opinions of the Ministerial Committee on Economic Policy that the Ownership Steering Department in the Prime Minister’s Office informs the company of. The company deviates from the Corporate Governance Code 2015 in its general meeting procedures and administration of insiders. The grounds for these deviations are that the company has only one shareholder and the company’s shares are not listed on the stock exchange. When selecting members to the Boards of Directors of the companies that it owns, the state owner observes its own guidelines and decisions concerning gender equality in the Boards of Directors of state-owned companies and the Government Action Plan for Gender Equality 2016–2019. In accordance with the Government Resolution on State Ownership Policy of 3 November 2011, the Government ensures compliance with gender equality objectives and adequate representation of both genders in the Boards of state-owned companies. Moreover, the objective laid out in the Government’s 2004 action plan for gender equality is that men and women should constitute at least 40 per cent each of the Board members in companies wholly owned by the state. VR-Group Ltd observes the above-mentioned gender equality principles. In 2016, there were three women and five men in the Board of VR-Group Ltd. The representation of both genders in the Board of VR-Group Ltd is in accordance with the Corporate Governance Code. VR-Group Ltd publishes the Corporate Governance Statement, which has been approved by the Group's Board of Directors. The statement can be viewed on the company's website. The report is issued unaudited. VR-Group Ltd’s Supervisory Board comprises at least six and at most twelve members. The chair and the members of the Supervisory Board are elected by the Annual General Meeting. The Supervisory Board elects a vice chair from among its members. The term of office for members of the Supervisory Board is one year. The Annual General Meeting decides on the fees paid to members of the Supervisory Board. Representatives of personnel organisations also attend the meetings of the Supervisory Board of VR-Group Ltd. The Raideammattilaisten yhteisjärjestö JHL (Railway section of the trade union JHL), Veturimiestenliitto (the Finnish Locomotivemen’s Union), Rautatiealan Teknisten Liitto (Union of Railway Technical Personnel), Rautatievirkamiesliitto (Union of Railway Officials) and VR Akava (trade union confederation of affiliates for highly educated people) are represented in the Supervisory Board. The personnel organisation representatives have the right to be present and to speak at meetings, but they are not full members of the Supervisory Board. The Supervisory Board met seven times during 2016. The VR-Group Ltd Annual General Meeting decides on the fees of the Supervisory Board members. The fees paid to the Supervisory Board under the decision of the Annual General Meeting of 29 March 2016 are as follows: The chair of the Supervisory Board receives EUR 800, the vice chairman EUR 600 and the ordinary members EUR 500 for each meeting. In 2016 the members of the Supervisory Board were paid fees totalling EUR 41,600. Supervisory Board members also receive a free VR rail pass. As the fees paid to the members of the Supervisory Board are given on payment basis, the fees paid in 2016 also include attendance fees for 2015. Similarly, some of the attendance fees for meetings held in 2016 will only be paid in 2017 and they are not shown in the table. The Board of Directors observes the Articles of Association, the provisions of the Limited Liabilities Companies Act and other legislation in its work. The Board of Directors is responsible for the administration of the company and for the proper organisation of its business activities. The Board of Directors is also responsible for ensuring that the supervision of the company’s accounting and financial management are properly organised. The Board of Directors has approved rules of procedure for itself that contain the main duties of the Board and the principles for assessing the work of the Board. The Board confirms changes and updates to the rules of procedure. As part of its duties, the Board of Directors takes major decisions concerning business principles, strategy, investments, organisation and financing. In addition, the Board decides on the selling or purchasing of business operations, on company acquisitions and on major property transactions. The Annual General Meeting of VR-Group Ltd elects the chair and other members of the Board of Directors annually. The Board elects a vice chair from among its members. The Board of Directors comprises at least four and at most eight ordinary members. The Board constitutes a quorum when more than half of the members are present provided that the invitation to the meeting has been properly conveyed to all members. The decisions must be made in accordance with the interests of the company and the shareholder and in accordance with the Limited Liabilities Companies Act. In matters concerning disqualification of Board members, the Board of Directors observes the provisions laid down in the Limited Liabilities Companies Act. The Board of Directors must ensure that consideration is given to situations involving disqualification whenever necessary. Board members must also always take into account potential conflicts of interest. The Board of Directors evaluates its work and operating practices each year mainly by self-assessment and where necessary utilising an external assessor, to ensure their effectiveness and to further develop them. Hannu Syrjänen (b. 1951), LL.M., M.Sc. (Econ.). Previously served as President and CEO of Sanoma Corporation. Board chair in: Orion Corporation, Lehtipiste Ltd and the Finnish Fair Cooperative. 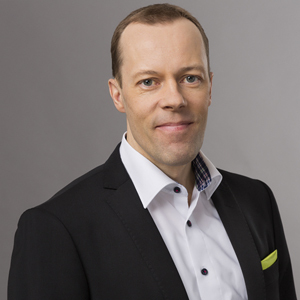 Vice chair of the Board of Directors: Norvestia Oyj. Board member in: John Nurminen Foundation. Chair of VR-Group Ltd’s Board since 19 April 2011. Heikki Allonen (b. 1954), M.Sc. (Eng. 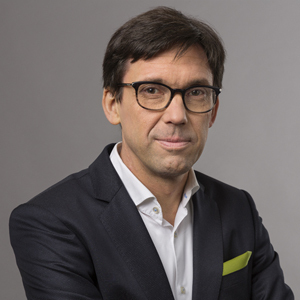 ), CEO, Hemmings Oy Ab. Previously served as Managing Director of Patria Plc, Fiskars Corporation and SRV Group Plc. Board member in: Nokian Tyres plc, Detection Technology Plc (also serves as the chair of the audit committee) and Nammo AS. Also serves as member of Ilmarinen’s Supervisory Board. Member of VR-Group Ltd’s Board since 15 April 2015. Riku Aalto (b. 1965), M.Sc. (Admin. ), Chairman of the Finnish Metalworkers' Union. Previously served as Financial Manager, Finnish Metalworkers’ Union. Board chair in: VVO-yhtymä Oyj. 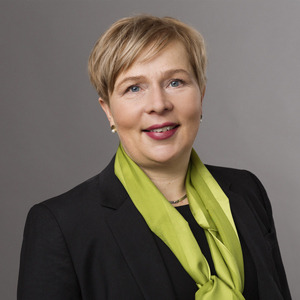 Board member in: Central Organisation of Finnish Trade Unions (SAK) and Varma Mutual Pension Insurance Company. Supervisory Board member in: Unemployment Insurance Fund. Member of VR-Group Ltd’s Board since 19 April 2011. Jarmo Kilpelä (b. 1957), M.Sc. (Econ. ), Senior Financial Counsellor, Ownership Steering Department at the Prime Minister's Office. 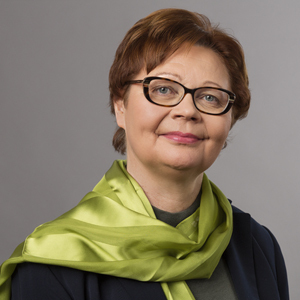 Previously worked as financial counsellor in the Ministry of Finance, as the official responsible for administrative and financial matters in the Government Guarantee Fund, as a researcher in the Bank of Finland and as a head of department, deputy head of department and corporate researcher at Säästöpankkien Keskus-Osake-Pankki. Board chair in: Governia Oy and Gasonia Oy. Board member in: Altia Plc and Finavia Corporation. Member of VR-Group Ltd’s Board since 20 March 2013. Roberto Lencioni (b. 1961), LLM., Managing Director, Oy Gard (Baltic) Ab. Previously worked in managerial positions in Oy Baltic Protection Ab, Managing Director of Oy Baltic Insurance Brokers Ab, Sales Manager at Aspocomp Oy and company lawyer at Aspo Group. Also serves as vice chair of the Board of Directors at Aspo Plc and member of Aspo Plc’s Board of Directors (since 1999) and chair of Aspo Plc’s audit committee (since 2010). Member of VR-Group Ltd’s Board since 15 April 2015. Liisa Rohweder (b. 1960), D.Sc. (Econ. ), Secretary General of WWF Finland. Also serves as member of the international steering group of the Baltic Sea and Himalayas programmes of WWF and as chair of the international Arctic programme. Previously served as Senior Teacher at HAAGA-HELIA University of Applied Sciences, energy economy researcher and the head of petrochemicals logistics department at Neste. Board member in: Lappeenranta University of Technology. Also serves as member of the sustainability advisory board of S Group, OP-Pohjola Group and LUKE. Positions of trust in central government: member of the National Commission on Sustainable Development, Forest Council and the Arctic Advisory Board. Member of VR-Group Ltd’s Board since 20 March 2013. Tuija Soanjärvi (b. 1955), M.Sc. (Econ.). Previously served as CFO at Itella Corporation, Elisa Corporation and TietoEnator Corporation. 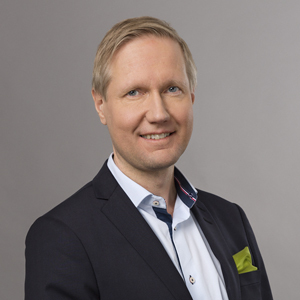 Board member in: Basware plc (also serves as chair of the audit committee), Nixu Corporation, Affecto Plc (also serves as chair of the audit committee), Metsähallitus (also serves as the chair of the audit committee), Metsähallitus Metsätalous Oy, Silta Group Oy and Silta Oy. Also serves as the chair of the Finnish Orienteering Federation. Member of VR-Group Ltd’s Board since 28 March 2012. Maija Strandberg (b. 1969), M.Sc. (Econ. ), Executive Vice President, Finance at Uponor Corporation (from 6 March 2017). 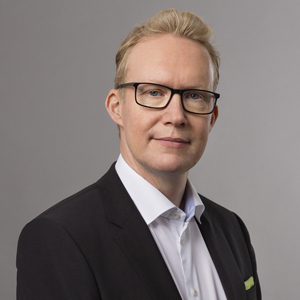 Previously served as Vice President, Finance, at Valmet Pulp and Energy business line as well as paper machine business, Managing Director of ALSO Nordic Holding and ALSO Finland Oy and as Vice President, Finance, in Metso Paper Oy, GNT Holding Oy and John Deere Forestry Group Europe. Board member in: Dustin Group Ab and Danske Bank Plc. Member of VR-Group Ltd’s Board since 15 May 2014. The Board members are independent of the company and of the shareholder, apart from Jarmo Kilpelä who represents the Ownership Steering Department at the Prime Minister’s Office. Board members do not own shares of VR-Group Ltd or its group companies. As a rule the Board of Directors meets once a month. During 2016, the Board met 15 times and the average attendance rate of the Board members was 97 per cent. The attendance rate of the Board members is shown in the table below. Each Board member is also paid an attendance fee of EUR 600 per meeting for Board and Board committee meetings. In 2016 the members of the Board of Directors were paid fees totalling EUR 306,750. The table below shows the fees paid to the Board chair, vice chair of the Board and Board members in 2016. Each Board member also received a free VR rail pass. The Board of Directors has formed two committees from among its members: the audit committee and the human resources committee. The term of office of these committees is one year. The term of office starts at the appointment of the committee after VR-Group Ltd’s Annual General Meeting and lasts until the following Annual General Meeting. The committees convene 4–7 times a year. The rules of procedure for the committees have been confirmed by the Board and the committees report to the Board of Directors. The main content of the committees’ rules of procedure is described below. The committee focuses on preparing matters concerning financial reporting and supervision for the Board to consider. The committee is in contact with the auditors and the internal audit, if necessary. The committee must comprise at least three independent Board members possessing competence required in the task that are not employed by VR Group. At least one of the members must possess expertise in accounting or auditing. On 31 March 2016 the Board of Directors elected the following persons as members of the audit committee: Maija Strandberg (chair), Riku Aalto, Roberto Lencioni and Tuija Soanjärvi. During 2016 the audit committee met six times and the average attendance rate for its members was 96 per cent. Read more about the tasks of the audit committee and the committee chair and the participation of the chair in the committee meetings at: Corporate Governance Statement 2016. The human resources committee focuses on preparing matters relating to developing incentive schemes for the President and CEO, other management and personnel and on preparing key appointments, for the Board of Directors to consider. As a rule, the committee has at least three members. The following persons served as members of the human resources committee in 2016: Hannu Syrjänen (chair), Heikki Allonen, Liisa Rohweder and Jarmo Kilpelä. During 2016 the human resources committee met three times and the average attendance rate of its members was 100 per cent. The President and CEO is responsible for managing the Group's day-to-day administration in accordance with the instructions and orders given by the Board of Directors. The Board selects and dismisses the President and CEO and determines his remuneration. VR Group has a Management Team comprising the President and CEO (chair); the Senior Vice Presidents of the Passenger Services and Logistics divisions; the Managing Director of VR Track Ltd, the Senior Vice President of the Russia and International Business division; the CFO; and the Group’s Senior Vice Presidents for Human Resources, Corporate Relations and the Environment, Train Operations, and Maintenance. The Management Team addresses matters of strategic importance and other matters that are of importance to VR’s business operations, drafts plans and monitors their implementation. It also discusses major day-to-day activities and operational issues. The Management Team generally meets once a week. Rolf Jansson (b. 1969), M.Sc. (Eng. ), M.Sc. (Econ.) President and CEO since 20 January 2016. Previously served as Director at VR Transpoint, Director, Nordea Corporate Finance, and Management Consultant at Booz Allen Hamilton. 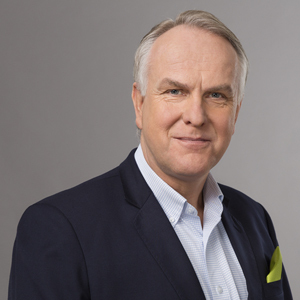 Rolf Jansson is a member of the Board of Directors of Sarlin Group Oy Ab. Member of the Management Team since 27 July 2009. Petri Auno, (b. 1973), M.Phil., Senior Vice President, Train Operations, VR-Group Ltd. 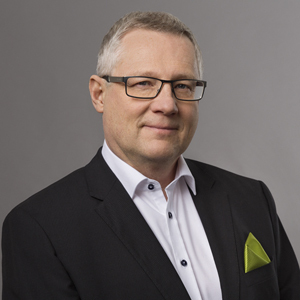 Previously served as Transport Manager responsible for train driver operations and as Regional Manager at VR-Group and as project manager at the University of Oulu. Member of the Management Team since 20 November 2012. Kimmo Soini (b. 1958), M.Sc. (Eng. ), Senior Vice President, Maintenance, VR-Group Ltd. Previously worked at VR-Group as the head of Helsinki depot and in managerial positions in Finnair. Member of the Management Team since 1 March 2015. Outi Henriksson (b. 1969), M.Sc. (Econ. ), Senior Vice President, CFO, VR-Group Ltd. Previously served as financial management of Sonera, Cultor and Sulake. Member of the Management Team since 13 August 2012. Martti Koskinen (b. 1957), B. Eng., Director, VR Transpoint. Previously worked as VR Transpoint’s Director of Sales and Marketing, Director of Central and East European Business Operations at Corus Ltd as well as Rautaruukki PLC’s Marketing and Procurement Director and, before this, Regional Manager for Central Europe. Member of the Management Team since 5 December 2016..
Timo Koskinen (b. 1968), LL.M., Senior Vice President, Human Resources, VR-Group Ltd. Previously served as Vice President, Human Resources, VR Ltd and VR-Group and as Legal Advisor at Elisa. Member of the Management Team since 20 August 2009. Otto Lehtipuu (b. 1968), M.Sc. (Eng. ), Senior Vice President, Corporate Relations and Environment, VR-Group Ltd. Previously served as Head of Environmental Affairs, VR Group. Member of the Management Team since 1 December 2010. Päivi Minkkinen (b. 1959), B.Sc. (Linguistics) and Executive MBA, Senior Vice President, Russia and International Business, VR-Group Ltd. Previously served as Head of International Affairs, VR Group. Member of the Management Team since 20 August 2009. Maisa Romanainen (b. 1967), M.Sc. (Econ. ), Senior Vice President, Passenger Services, VR-Group Ltd. 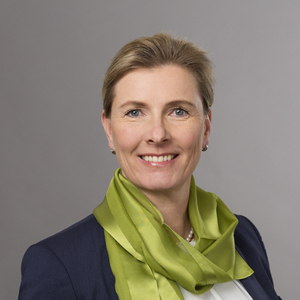 Previously served as Executive Vice President and Director of the Department Store Division at Stockmann plc. Member of the Management Team since 1 November 2014. Harri Lukkarinen (b. 1970), M.Sc. (Eng. ), Managing Director, VR Track Ltd. 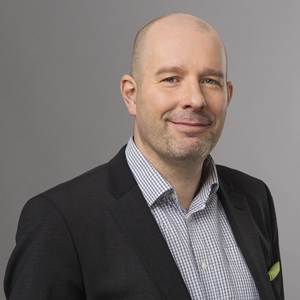 Previously served as Vice President of Construction at VR Track and Director of Infrastructure Construction at CMC Terasto Oy (part of Jaakko Pöyry Infra). Serves as a member of INFRA Ry (Association for Finnish Infra Contractors). Member of the Management Team since 21 November 2016. Ville Saksi (Managing Director of VR Track Oy) and Teemu Sipilä (acting Managing Director of VR Track Oy) also served as members of the Management Team during 2016 (until 16 September 2016 and between 16 September and 21 November 2016, respectively). Mikael Aro, Executive MBA (b. 1965), served as the company’s President and CEO between 1 July 2009 and 20 October 2016. Before this he served as Senior Vice President, Northern Europe, Carlsberg and CEO of Sinebrychoff, part of Carlsberg. Excluding the President and CEO the members of the Management Team were paid a total of EUR 2,061,546 in salaries and fringe benefits and EUR 443,124 in remunerations in 2016. The members of the management team were not given a bonus of shares or share-based rights during the financial year. The Board of Directors of VR-Group Ltd has approved the incentive scheme for Group management. In 2016, the short-term incentive scheme was used. For the long-term incentive scheme no new three-year monitoring period was started during the year. The Group’s Board of Directors approves the overall criteria for the scheme and the persons included in the scheme, as well as the more detailed criteria for the incentive scheme, the threshold values, and entry, exit and other governing rules. The human resources committee of the Board of Directors has reviewed the rules and principles of the scheme in effect at any particular time. The incentive schemes are in accordance with the resolution issued by the Government on the matter. Under the terms of the scheme the Board of Directors may, in exceptional circumstances, amend the terms of the scheme and postpone payment of the bonus. The review period for the short-term incentive scheme is one year. The scheme is divided into four organisational levels. In 2016 about 160 people belonged to the scheme. The President and CEO belongs to level L1, other members of the Management Team and immediate subordinates of the President and CEO in relation to head office functions to level L2 (11 persons) and other senior management to L3 (100 people). The other people selected for the bonus scheme are in positions as supervisors or experts that have a significant impact on business operations, and they belong to level L4 (altogether 49 people). Each year the Group’s Board of Directors approves the persons to be included in the scheme. The objectives, indexes and threshold values for the short-term incentive scheme are set each year so that there are a maximum of six indexes. The operating profit of the Group/unit serves as one index. Depending on the content of the tasks, it has a weighting of between 60 and 15 per cent. The weighting of the other indexes supporting the strategy and unit-specific targets is between 40 and 85 per cent. Under the short-term incentive scheme, the proportion of the maximum reward of the annual salary (including fringe benefits and holiday bonuses), as paid on the basis of the targeted performance is as follows: L1-L3 level 30 per cent and L4 level 25 per cent. The bonus for exceptionally good performance at level L1-L3 is 50 per cent. VR Group has no share-based incentive schemes. Any incentive scheme bonuses are paid on the basis of how annual targets have been met in the spring of the year after the earnings year once the financial statement figures have been confirmed. According to the Limited Liabilities Companies Act, the Board of Directors ensures that supervision of the company’s accounting and financial management has been arranged appropriately. The President and CEO must ensure that the company’s accounting complies with legislation and that financial management is arranged in a reliable manner. The Group’s management is responsible for ensuring that the Group’s business operations comply with applicable legislation and with the decisions of the company’s Board of Directors, and that risk management has been appropriately arranged in the Group. Internal and external reports are made of the financial situation. Senior management monitors the achievement of financial targets in the Group’s Management Team at least on a monthly basis, through internal reporting at Group level and for the individual business sectors. The reports monitor the net result, investments and their implementation, the financial situation, the number of personnel and volume of traffic. The Group’s financial situation is reported to the Board of Directors once a month. The group-level profit forecast for the year is updated every quarter and it is also used as a basis for the following year’s budget. External reporting involves preparing the half-yearly performance reports and the annual report. The Board of Directors reviews all half-yearly reports and financial statements before they are published. The Group’s finance unit is responsible for the accuracy of the Group’s financial reporting. The finance unit comprises the finances service centre (accounting, taxes, processing of invoices), business control (reporting, budgeting, management support) and treasury (financing, insurance, vehicle management). Financial reporting complies with legislation and other regulations and with generally approved accounting principles and other rules governing companies. VR Group observes Finnish accounting practices (not IFRS). The aim is to ensure that the Group’s financial reporting produces correct information, in all material respects, for internal reports and the reports that are released for publication. VR Group has an independent internal audit unit that reports to the President and CEO and to the audit committee of the Board of Directors. The internal audit complies with the international professional standards for internal audit and operates in cooperation with the auditors. The Board of Directors has approved the operating procedures for the internal audit, and approves the plan of operations for the internal audit each year. The internal audit unit monitors the Group to ensure that its internal controls are effective and properly arranged. The internal audit reports on its observations to the audit committee at every committee meeting. The management of VR Group is committed to risk management and its continued development. The risk management of VR Group is guided by the risk management policy approved by the Board of Directors of VR-Group Ltd. The policy sets out the principles, objectives and responsibilities of risk management and the operating practices observed in the risk management. The purpose of risk management is to provide an up-to-date, accurate and comprehensive understanding of the risks of VR Group. Risk management is an ongoing process, the purpose of which is to comprehensively identify, assess, manage and control the main risks in a way that is relevant to the business. Risk management has an essential role in all operations and processes and in various projects. The President and CEO is responsible for appropriate risk management in the Group. In business and support units, risk management is the responsibility of the senior management. The Risk Manager is responsible for ensuring an up-to-date risk management policy, for supporting its implementation and for monitoring and developing risk management practices and for reporting on them to the Management Team and the Board of Directors. A separately appointed Risk Management Team steers and supports the planning and implementation of risk management. Risk management within the VR Group supports the achievement of the Group's strategic and operational objectives and ensures that the Group's business operations are on a profitable and long-term basis. Effective risk management is a way to ensure that any identified risks do not result in major financial loss or, for example, compromise the safety or health of personnel. Read more about risk management: Corporate Governance Statement 2016. According to its Articles of Association, VR-Group Ltd shall have one auditor, which must be a firm of Authorised Public Accountants certified by the Central Chamber of Commerce. The term of office of an auditor ends at the close of the Annual General Meeting following the auditor’s election. The auditor is elected by the Annual General Meeting. Ernst & Young Oy, Authorised Public Accountants, was elected as auditor for 2016, with Mikko Rytilahti, APA, CPFA, as principal auditor. The fees paid to the auditor for the audit during the 2016 financial year totalled EUR 308,213.50. The fees paid to the auditor for services not connected with the audit totalled EUR 62,300.82.